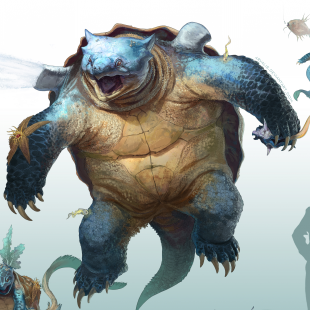 Artist RJ Palmer has created a collection of "realistic" art pieces re-imagining your favorite Pokemon as ferocious beasts. Update: RJ Palmer has responded to our query. 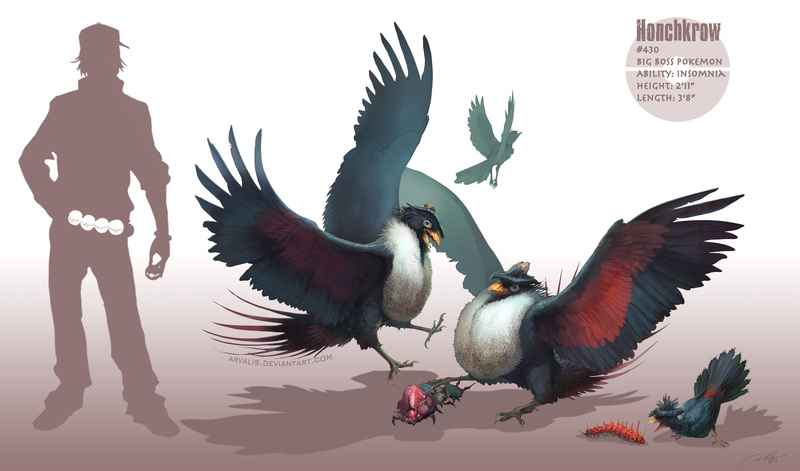 According to the artist he began working on Realistic Pokemon nearly two years ago while "doodling a sharkasaurus that eventually turned into Garchomp." 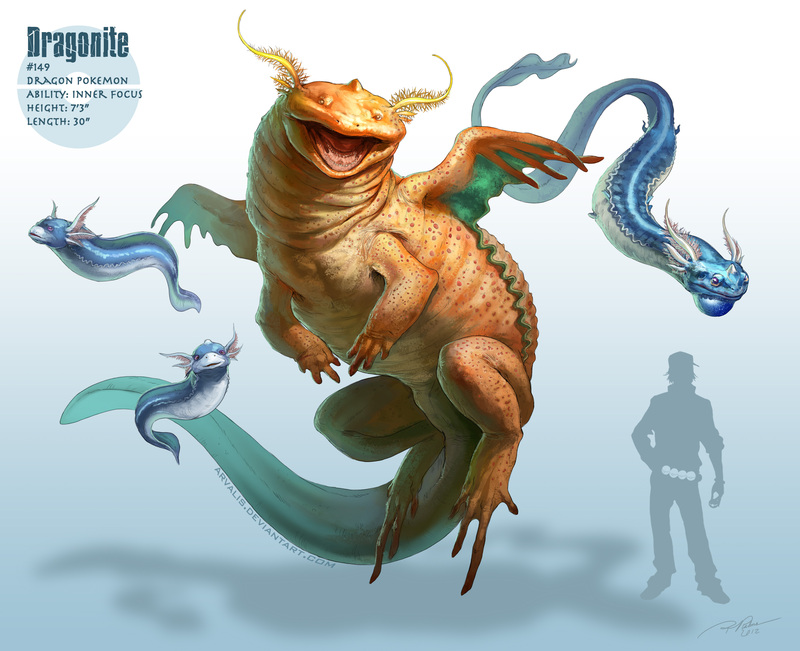 He further revealed that each illustration, especially the more recent ones, takes about 30 hours to put together. Hoping to fit in with the holiday season he's currently working on an Abomasnow image that he hopes to have finished sometime in the near future. Original Story: One of the biggest turn-offs for me when it comes to Pokemon is just how danged cute everything is. Now don't get me wrong, I'm more than capable of appreciating the occasional slice of adorableness. 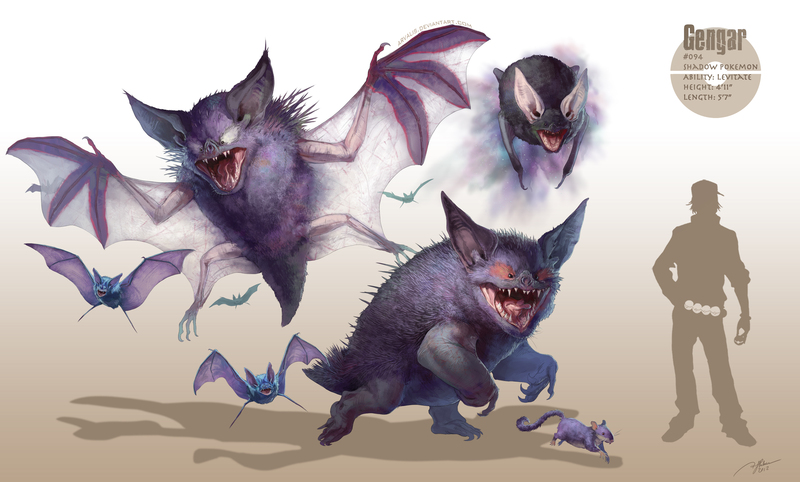 That said, when your entire series is built around an ever-expanding cast of cute and cuddly "monsters," I'm unfortunately going to hit a breaking point. 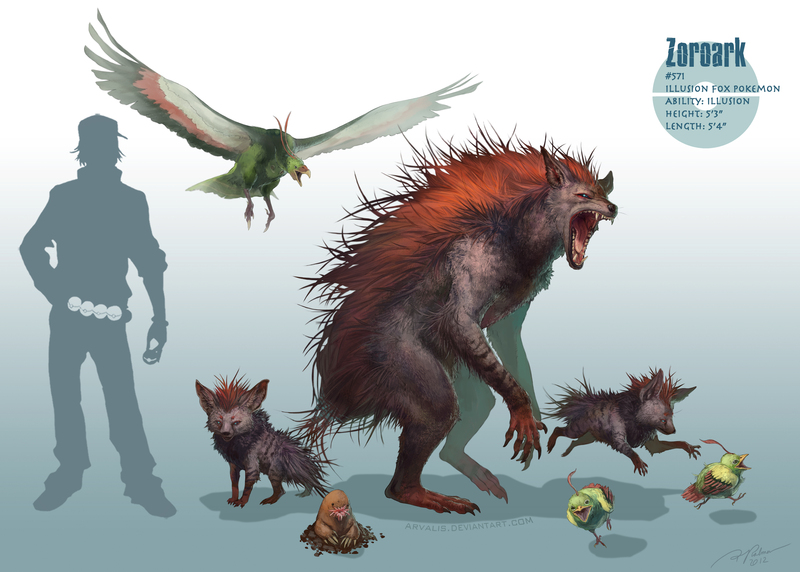 You can perhaps understand, in turn, why I so deeply enjoyed a gallery of art pieces re-imagining Pokemon as vicious, real world beasts. 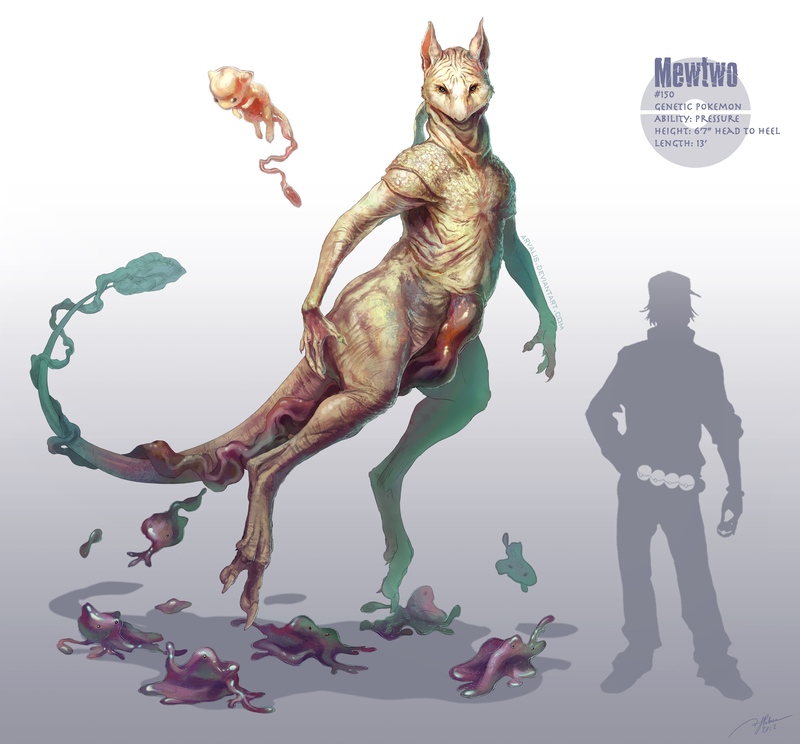 The art in question was created by DeviantArt member RJ "avarlis" Palmer and includes Pokemon fan favorites such Bulbasaur, Gyarados and Mewtwo. 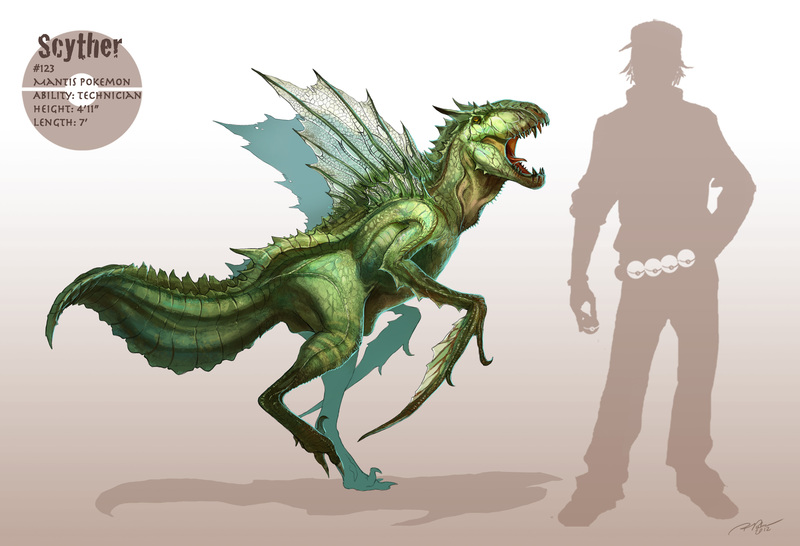 Not surprisingly, Palmer creates his "realistic" versions by looking partially at animals from the real world. With Bulbasaur, for instance, he made a concentrated effort to make sure the end result looked like an actual lizard and less like a frog. 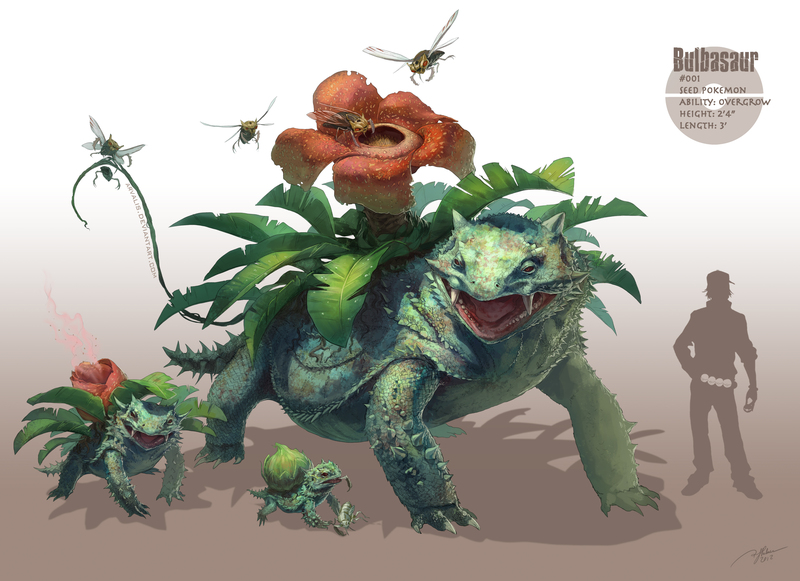 "It really bothers me whenever I see a more realistic take on the Bulbasaur line [as frogs]," he stated in the image's description. 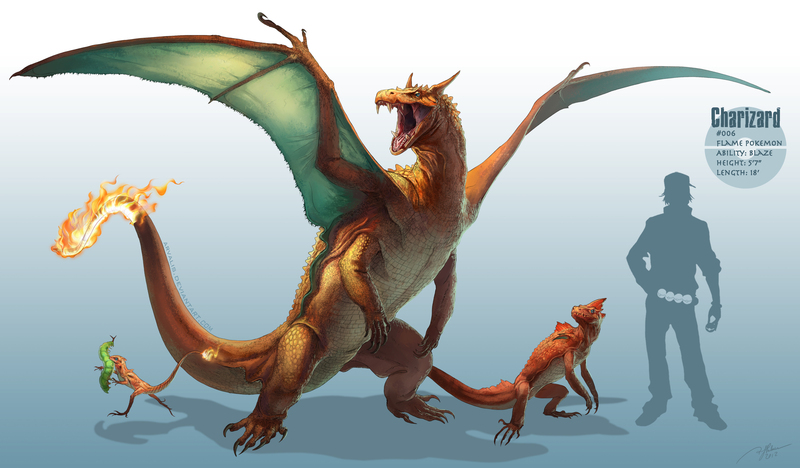 "He has 'saur' in his name, which means lizard." 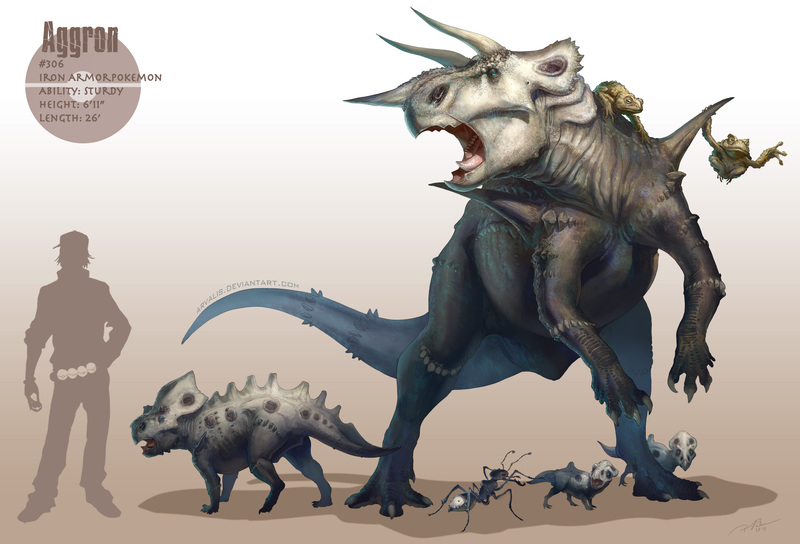 When he designed his own Bulbasaur he "ran with the lizard idea" and wound up with "a cross between a Horny Toad and a Scutosaurus." 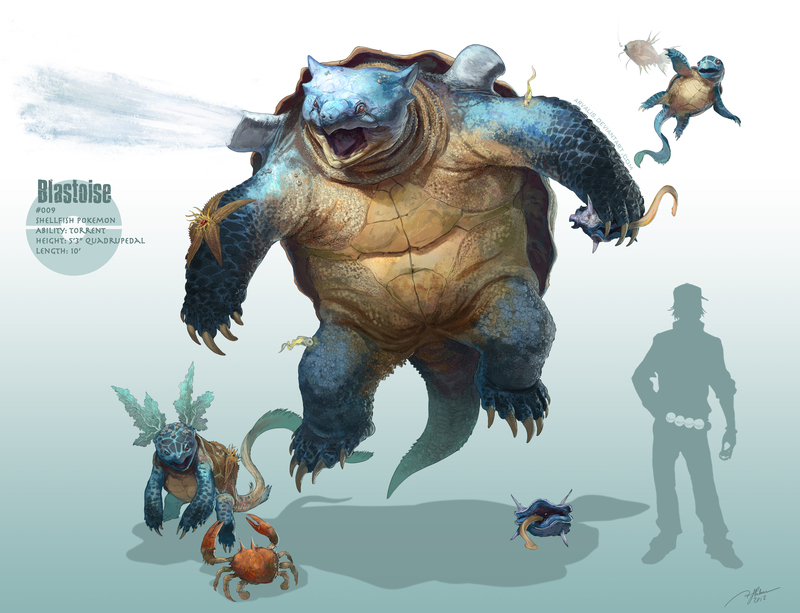 Palmer has already created 28 illustrations for his Realistic Pokemon line. 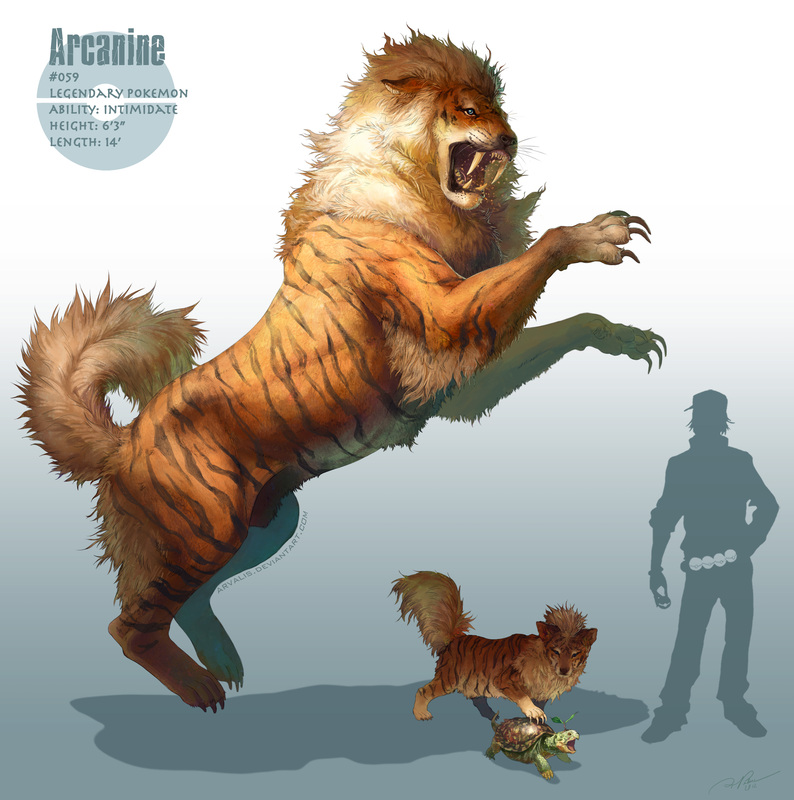 Each picture focuses in on a central Pokemon with several including their evolutions and other related creatures. We've reached out to Palmer with further questions to learn about his plan for the series and the process that goes into making each image. 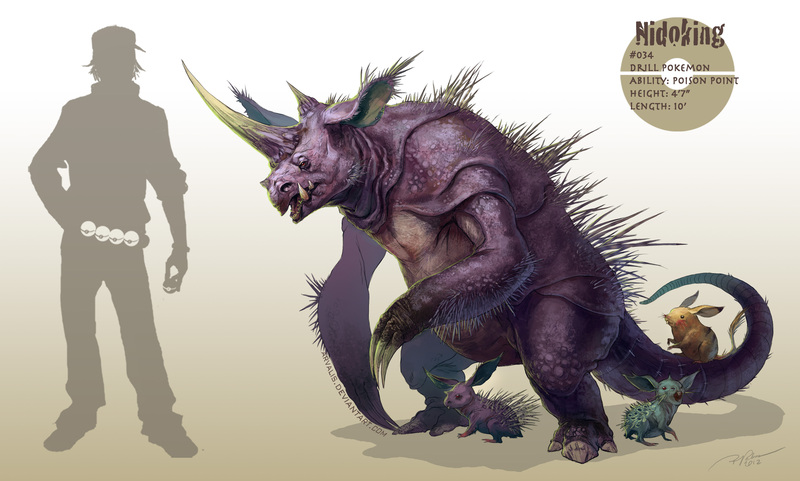 While we wait for his response, feel free to let us know what you think of his illustrations and which ones you like best.